Visa is the most widely accepted payment system in the world. The company issues convenient bank credit cards, which allow delayed payment with an interest charge, and debit cards, which deduct the payment amount from your bank account immediately. MasterCard is a popular credit and debit card system, very convenient for remote payment. Credit card charges are billed on a monthly statement, with interest charges, while the debit card causes funds to be deducted immediately from your bank account. Maestro is a payment service operated by MasterCard. Choose a debit card, which will cause the amounts of any charges to be deducted directly from your bank account, or the prepaid card, which must be loaded with cash before use. PayPal is an electronic payment system especially designed for the Internet. It makes online payments and withdrawals fast and secure. 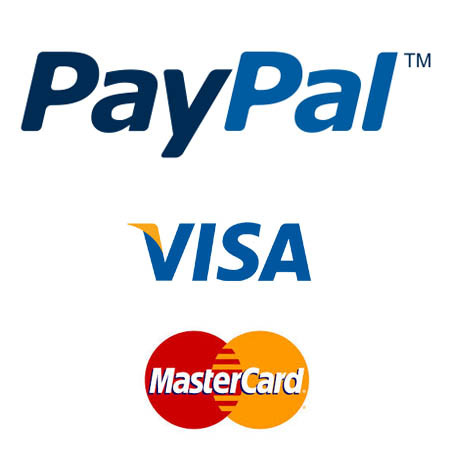 You can fund your PayPal account with your credit card or directly from your bank account. Paysafecard is a very secure and discreet prepaid card that can be purchased at many local stores. It comes in a variety of denominations and has a code that must be entered when depositing to your bingo account. Solo is a secure debit card issued by 2 banks – NatWest and HSBC – for the MasterCard Company. Because charges are deducted from your bank account almost instantly, you can spend only as much money as you have on deposit. Switch is a popular debit card issued by a large network of banks for MasterCard / Maestro. Linked directly to your bank account, it is a safe and convenient alternative to paying by credit card. Neteller is an electronic wallet, for storing funds in order to make payments online and receiving money transfers. It’s very safe and discreet – you do not have to reveal any credit card information to merchants on the Internet. Click and Buy is a simple e-commerce system which you can use to make payments and receive money transfers (useful for bingo account withdrawals) via the Internet. All you need to do is register your banking information with the system. Click 2 Pay is an “online wallet” that is secure and convenient. It may be used for bingo payments and withdrawals and can be funded in a variety of ways, such as credit card or directly from your bank account. EntroPay is a virtual prepaid credit card which you can use for payments and withdrawals at any site that accepts Visa. No credit check is required to obtain EntroPay. It is a very secure, discreet method of online money transfer. Instadebit is an electronic wallet that may be used to make payments and withdrawals. Just register with the company and provide your US bank account details. This is a safe and convenient money transfer method for US residents. Wire Transfer is a means of electronic transfer of funds directly from your bank account to the merchant’s bank account, or vice versa. This method may be requested online, by phone or in person, depending on your bank policy. Western Union is a system of money transfer for online payment. Fund with your credit card or bank account or pay cash at a Western Union agent – great for players who don’t have or don’t wish to use their credit card. Ukash is a system of prepaid vouchers which may be purchased from neighborhood payment terminals in the UK and other parts of Europe. Enter the voucher code online to make deposits at bingo sites. Skrill (Moneybookers) is an e-commerce service designed as a low cost method of online money transfers. An account with Skrill is easy to set up and to use to make both bingo payments and withdrawals. Money orders are a time honored and simple method of payment. They may be purchased at banks or post offices. There is no need to reveal your credit card or bank account details to bingo websites you are dealing with. Checks are normally used at bingo sites only to make withdrawals. This is a safe way to receive money without revealing your personal financial details. Checks may be sent to you by mail or courier.